Okay, so I got myself into a bit of a tiff with Abby down below. Here’s the link. In general, the conversation is about how GID should be classified in the DSM. The tendency, obviously, is for us to want a kinder, gentler revision…one sensitive to our feelings, and easier to schlep to the public than something like “autogynephilia”. Ideally, we’d get it removed entirely. That doesn’t seem likely to me, of course. Unlike homosexuality, transsexuality requires treatment (currently that treatment involves hormones and surgeries…hopefully that will always be the case). 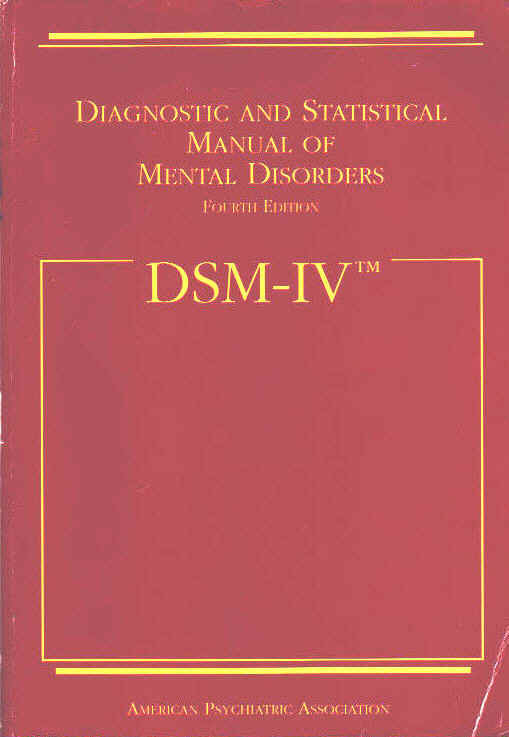 And as long as treatment is necessary, the doctors will need a set of diagnostic criteria…hence the DSM. Maybe gender dysphoria is a physical ailment, as I’ve so often heard said, rather than a mental one. Maybe it’s like having kidney stones. Kidney stones often require surgery, but I’m pretty sure they’re not listed in the DSM. Maybe we can prove that gender dysphoria is like kidney stones. Harkening back to my undergrad days and my Abnormal Psychology class (thank you Ms. H.! ), along with the help of Google, I was able to dredge up the criteria for mental disorders. The first two are obvious…we meet those. No argument here. Personal Distress seems obvious. Yes, the dysphoria we suffer causes us distress. The same was (and still is, occasionally) said of homosexuality. Is it the dysphoria itself that causes the distress, or the way the rest of the world treats us? I suppose that question can only be answered by the individual. A behavior pattern or characteristic is “adaptive” when it is constructive, helpful, healthy and contributes to the person moving in a valued direction. A maladaptive behavior is the opposite then…a behavior that is destructive, unhelpful, unhealthy, and contributes to a person moving in a non-valued direction. The site gives the example of heroin use as being maladaptive (duh). So what behavior are we talking about here? If we’re talking about having gender dysphoric feelings and not acting upon them, then yes, I’d say that’s a maladaptive behavior. But shouldn’t we be looking at it the other way? Shouldn’t we wait until a person does act upon a feeling, then judge whether it’s adaptive or maladaptive? To use the example above, the urge to use heroin is only maladaptive when acted upon; to not act upon it is responsible, and therefore adaptive. I’m going to go out on a limb here and say that the same standard should be applied to all such observable behaviors. And most times that I’m aware of, acting upon gender dysphoric feelings results in a person “moving in a valued direction” (except, of course, where Personal Distress rears its head). Is this going to be the case for everyone? Probably not. There may be people out there who meet all four of these criteria. And there’s no reason the DSM can’t include an article that addresses the needs of these individuals…they did it for homosexuality. But for the rest of us – and every successful transition is another case study the DSM crew should look at – is there a way we can be excluded from the onus of GID and still receive the treatment we need? To be perfectly honest, even I’m not convinced by my argument. Obviously, being transsexual is not like having kidney stones. And while I think the whole adaptive/maladaptive thing is interesting, I’m sure I’m not the first person to think of it. Sadly, it’ll take more than an hour’s worth of Google research before I’ll be able to completely repudiate decades worth of mental health research, but in the meantime, there are a few people out there who can make those kind of claims.